November 1, 2018  Critic David Edelstein says the story behind the The Other Side Of The Wind — how Welles made it and what happened to it after his death in 1985 — is more fun than the completed film itself. October 5, 2018  Critic David Edelstein says that despite the film's "mushy" story arc, it's hard to resist Cooper's remake of the classic film about an up-and-coming superstar. 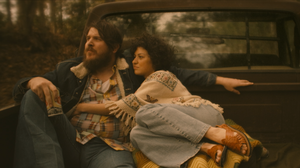 September 6, 2018  Critic David Edelstein says Ethan Hawke's new film about country singer-songwriter Blaze Foley is best at its simplest: "When [star Ben] Dickey performs, the movie is great." August 2, 2018  A veteran of World War II, Bowers bought a gas station on Hollywood Boulevard in 1946 and began arranging trysts for stars. A new documentary that's "as sympathetic as it is lurid" tells his story.